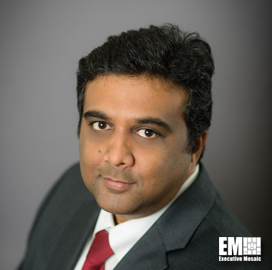 Vinay Manne, a more than 18-year information technology veteran, has been promoted to chief technology officer at Ace Info Solutions. He will oversee Ace Info Solutions’ strategic initiatives to provide technology platforms to customers and drive business growth efforts in his new position, the company said Jan. 4. Manne joined the Reston, Va.-based government IT contractor in September 2008 and previously held the roles of operations director, program manager and center of excellence director. “He has been instrumental in advancing our technology partnerships with AWS, Microsoft and Red Hat as well as integrating our centers of excellence with our programs and business development areas for growth and modernization,” said Jay Challa, chairman and CEO of Ace Info Solutions.